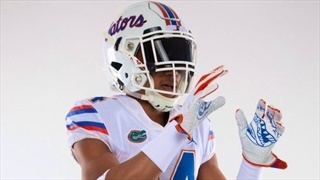 Not only did Miami (Fla.) Christian School four-star wide receiver Marc Britt have an opportunity to see Florida in action over the weekend, he left impressed enough with what he saw to set an official visit with the Gators. 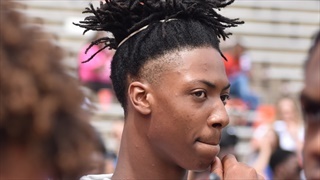 Dublin (Ga.) four-star linebacker Romello Height took his first ever visit to Gainesville this weekend to celebrate his birthday while taking in Florida's spring football game. 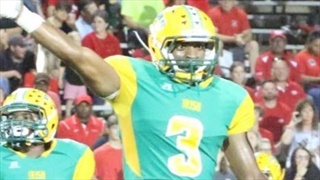 Tyrone (Ga.) Sandy Creek four-star defensive back Brian Branch talks about his recent visit to Florida - which went well enough that he plans to return again this summer. Florida Basketball News - Roster Thinning? 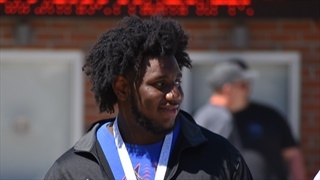 Cocoa (Fla.) High School offensive lineman Richie Leonard?, who has earned double-digits offers and is currently committed to Kentucky, initially got involved with football due to the influence of a former Florida Gator.